As the next local elections approach in England, we look at the measures in place to make voting accessible for everyone. On 2 May 2019 local elections will take place in certain parts of England. A local election gives you the chance to vote for a representative for your area. The winner will then become a councillor in your area. Unlike a general election where you vote for a person affiliated with a political party to run the government, in local elections you vote for one person, sometimes affiliated with a political party, to become part of your local council. Voting in a local election is a free and timely way to have your say on the area you live in. Depending on where you live, your local council is responsible for things like social services, public transport, council housing, education services and more. They also have a say on how community centres, libraries and parks are run. People with a disability have the same rights to vote as everybody else. To be able to vote you must be on the electoral register. Anyone aged 18 or over who is a British, Irish or EU citizen is eligible to vote, but you have to register. To vote in the upcoming local elections, you need to register to vote by midnight on Friday 12 April. If you have recently moved home you have to register at your new address. You can register to vote online by yourself or with the help of a trusted carer or loved one. You will be asked where you live, when you were born, your name, address and contact information. You will also be asked to provide identification and your national insurance number. This can be found on payslips or official letters about benefits, pensions or tax. Once you have finished your application, your local electoral registration office will get in contact to confirm you have been added to the electoral register. If you need help or assistance to register to vote, contact your local electoral registration office. When you register to vote you will be given the option of a postal vote. This is one of three ways to vote. It is important to pick the way of voting that works best for you. The most common way to vote is at the polling station. This is where you go to vote in person. Before an election you will be sent a polling card that tells you where to vote. Polling stations are often at schools, churches and community centres. With sign language, everyone is included! It is important to check if your polling station is accessible before you go to vote. You can do this by contacting the polling station or your local electoral registration office. You can also vote by post. If you choose to vote by post you will be sent a polling card before an election. You should fill this out and return it to your local electoral services team. This is a great option if you find it difficult to leave the house or attend events with queues and social interaction. The last way to vote is by proxy. This is when you choose a person you trust to vote on your behalf. You will have to inform your local electoral registration office if you want someone to vote for you. This person can vote for you at the polling station or by post. It is important to discuss who you want to vote for with this person so that they vote for the councillor you want. Once polling stations close the votes will be counted and a new councillor will be elected in your area. 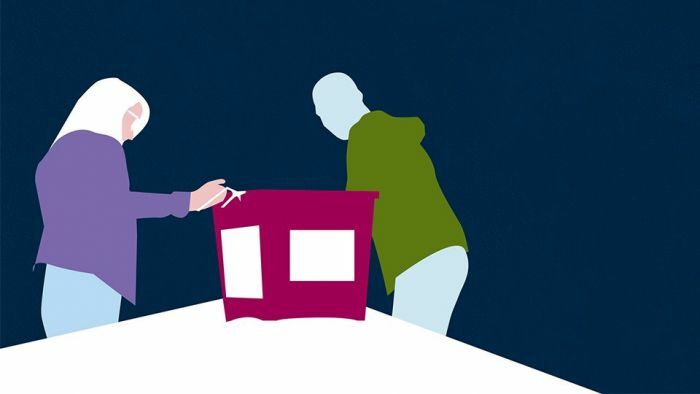 Click here to access the Mencap and Electoral Commission easy read guide to voting. Your local electoral registration office can answer questions about how to make your voting experience more accessible. Your Vote Matters provides advice on how to vote and why. Follow Enable on Twitter and Instagramfor all the latest news and support. Be the first to comment on "Your guide to accessible voting"